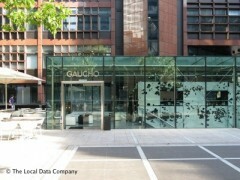 Gaucho is acclaimed for its steaks, but many of their restaurants also have cigar menus. The South Kensington branch even has a separate bar called Galante, where they’ll pair cocktails with cigars for you. It’s late… And we’re hungry! a little over crowded but food was amazing, if you like steak you'll love it!